The new research network builds on decades of technology development supported by the National Science Foundation, the Department of Defense, NASA, and the U.S. Geological Survey (USGS). The network uses real-time GPS measurements from nearly 500 stations throughout California, Oregon and Washington. When a large earthquake is detected, GPS data are used to automatically calculate its vital characteristics including location, magnitude and details about the fault rupture. Accurate and rapid identification of earthquakes of magnitude 6.0 and stronger is critical for disaster response and mitigation efforts, especially for tsunamis. Calculating the strength of a tsunami requires detailed knowledge of the size of the earthquake and associated ground movements. Acquiring this type of data for very large earthquakes is a challenge for traditional seismological instruments that measure ground shaking. High-precision, second-by-second measurements of ground displacements using GPS have been shown to reduce the time needed to characterize large earthquakes and to increase the accuracy of subsequent tsunami predictions. After the capabilities of the network have been fully demonstrated, it is intended to be used by appropriate natural hazard monitoring agencies. USGS and the National Oceanic and Atmospheric Administration are responsible for detecting and issuing warnings on earthquakes and tsunamis, respectively. The READI network is a collaboration of many institutions including Scripps at the University of California in San Diego; Central Washington University in Ellensburg; the University of Nevada in Reno; California Institute of Technology/Jet Propulsion Laboratory (JPL) in Pasadena; UNAVCO in Boulder, Colo.; and the University of California at Berkeley. NASA, NSF, USGS, and other federal, state and local partners support the GPS stations in the network, including the EarthScope Plate Boundary Observatory, the Pacific Northwest Geodetic Array, the Bay Area Regional Deformation Array and the California Real-Time Network. “The relatively small investments in GPS-based natural hazards systems have revolutionized the way we view the Earth and allowed us to develop this prototype system with great potential benefits for the infrastructure and population in earthquake-prone states in the western United States,” said Frank Webb, Earth Science Advanced Mission Concepts program manager at JPL. The READI network is the outgrowth of nearly 25 years of U.S. government research efforts to develop the capabilities and applications of GPS technology. 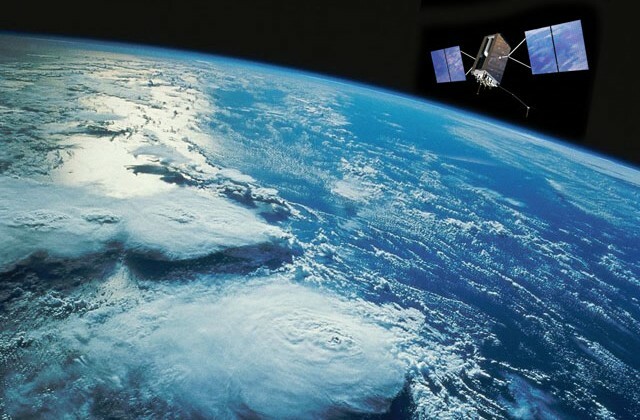 The GPS satellite system was created by the Department of Defense for military and ultimately civil positioning needs. NASA leveraged this investment by supporting the development of a global GPS signal receiving network to improve the accuracy and utility of GPS positioning information. Today that capability provides real-time, pinpoint positioning and timing for a wide variety of uses from agriculture to Earth exploration. The GPS earthquake detection capability was first demonstrated by NASA-supported research on a major 2004 Sumatra quake conducted by Geoffrey Blewitt and colleagues at the University of Nevada in Reno.